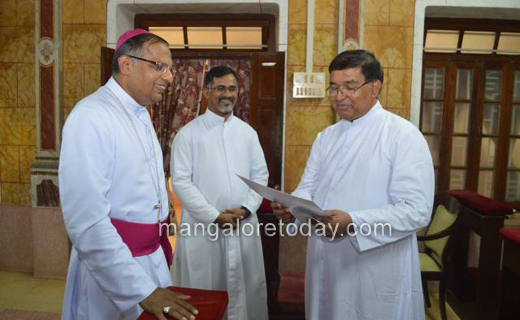 Mangaluru, Nov 21, 2018: Fr Victor George D Souza has been appointed as the new Chancellor of the diocese of Mangalore on 21 September 2018 at Bishop House chapel. He took charge in a short ceremony held at the Bishop’s chapel presided over by the bishop. 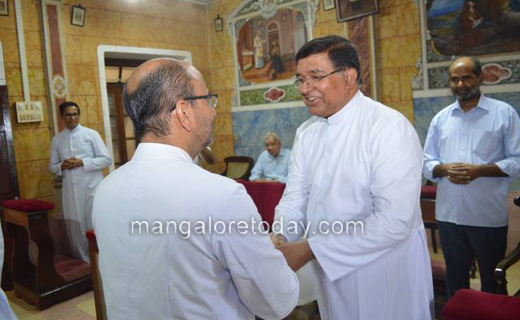 Fr Victor George D Souza was born in Balkunje, ordained as Priest in 1986. 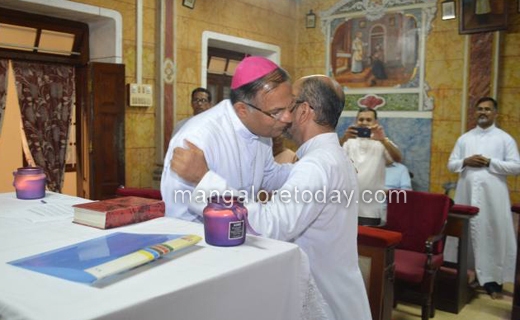 He served as the Assistant Parish Priest at Milagres and Belman Parishes. He did his Studies in Canon Law at St Paul University Ottawa Canada. 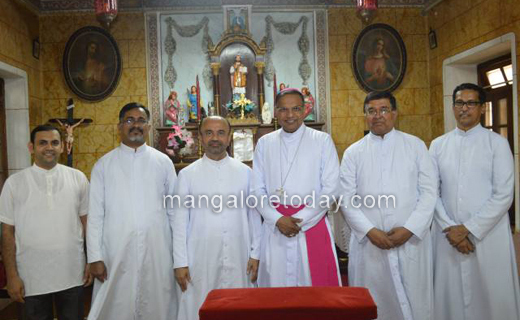 Served as the Professor of Canon law at Peter Pontifical Institute Bangalore, Visiting professor at St Joseph’s Seminary Jeppu Mangalore, as the Judicial Vicar of Mangalore diocese and Served in ecclesiastical tribunal for 20 years. He has edited many books and written articles. He is the Editor of Indian theological studies and Studies in Church Law. 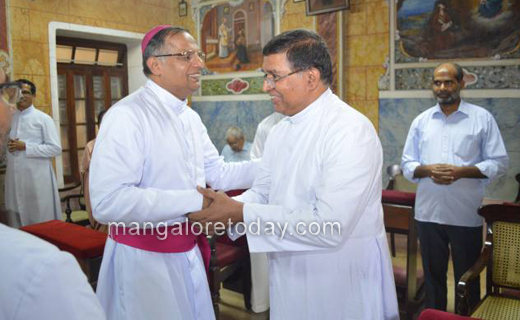 He is the Canonical adviser for many dioceses in India and Abroad. He is the Professor and head of Chair in Christianity which he continues at Pastoral Institute.